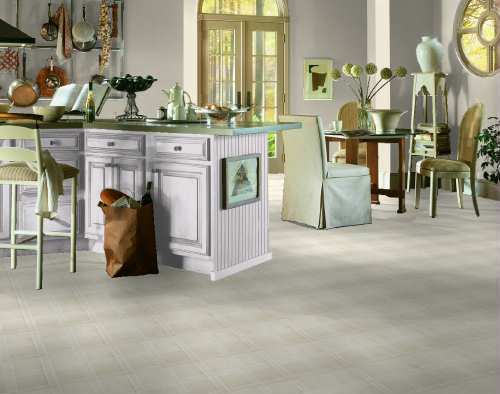 Description: A sophisticated, high gloss pattern with subtle decorative surface embossing. The banded border motif is lined with textured diamonds and anchored at each corner by accent squares also bearing the diamond motif. The grout lines are muted neutrals. The most durable Designer Solarian floor, it features Inlaid Color, the patented CleanSweep no-wax wear surface, and a 15-year limited warranty. Available only in 6 foot width.